Amazon.com Price: $170.99 (as of 2019-04-25 04:43:11 GMT) Product prices and availability are accurate as of the date/time indicated and are subject to change. Any price and availability information displayed on Amazon.com at the time of purchase will apply to the purchase of this product. What a plush place for your little bunny to snuggle into! 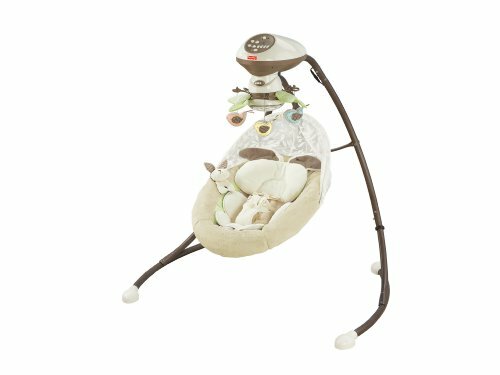 The softest of fabrics surround baby as she gazes at herself in the mirror on the motorized mobile and watches birdie friends fly by. A variety of music and motion soothes and engages her, along with a little plush bunny friend to keep her company. Requires 4D batteries, not included.